“The strain of war and the drains of its demands has been felt as keenly perhaps by the University of Kansas as any other co-educational institution in the country,” begins KU’s 1918 yearbook. 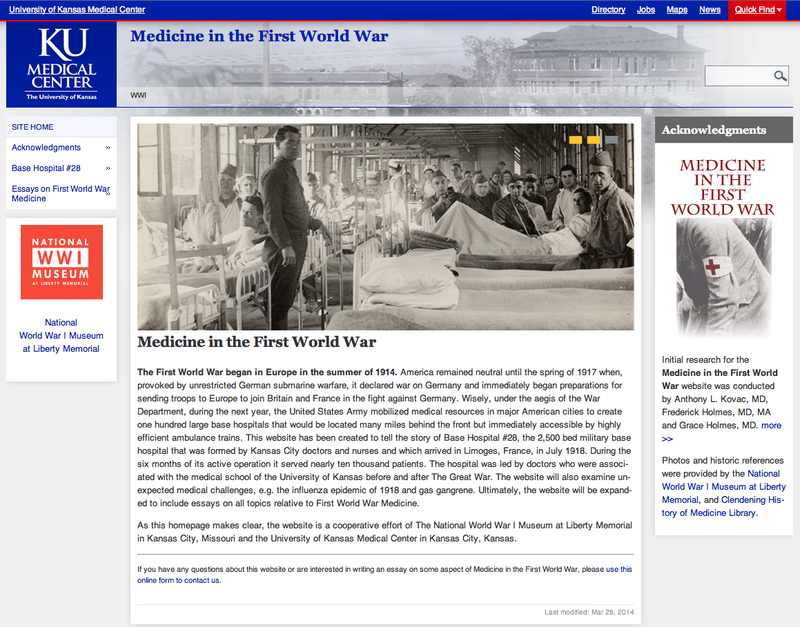 Dedicated to the war and its affects on KU faculty and students, the 1918 Jayhawker provides a snapshot of the tidal wave of effort that encompassed the entire United States upon its entry into World War I. At KU, German speaking clubs were canceled, and Spanish speaking clubs were introduced. A ruling passed by the Board of Regents made daily exercise compulsory, and a large number of men signed up for military drill. Women replaced sewing hours with Red Cross knitting classes, and “First Aid” nursing became the most popular course of the year. The yearbook is a story of how an educational community came together and adapted to a harsh new reality, and it provides a glimpse of how World War I, the war they thought would end all wars, shaped the lives and community of Kansas Jayhawks. 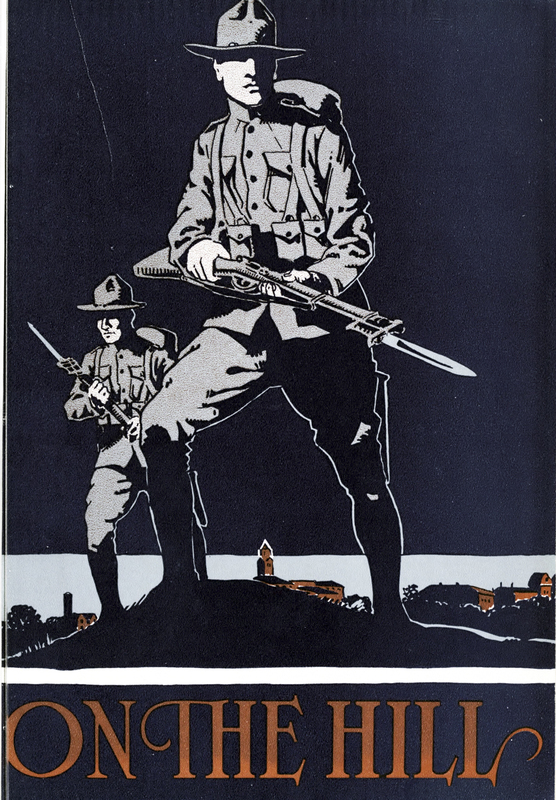 In honor of the 1918 Jayhawker and its student editors, the KU WWI Planning Committee is using images from the yearbook as logos, as well as a wood cutting from the yearbook for this blog’s header. These are just a few images found throughout the yearbook, which I I strongly encourage you to sift through online: 1918 Jayhawker.